The name might be a bit self-aggrandising, but Skoda's Superb does live up to its boasting moniker, offering stretch-limo like space in the rear to make it a very useful family car. The name might be a bit self-aggrandising, but Skoda's Superb does live up to its boasting moniker, offering stretch-limo like space in the rear to make it a very useful family car. 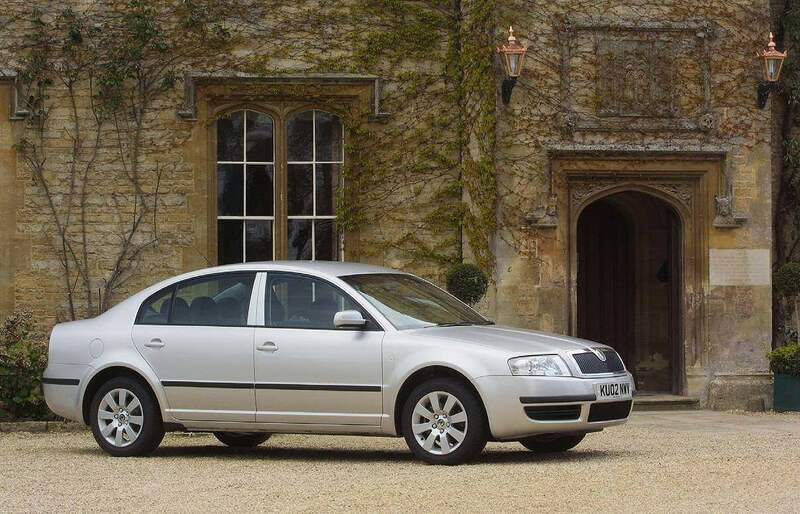 It's unashamedly based on the Volkswagen Passat, though not an ordinary Passat, but a longer wheelbase version created for the Chinese marketplace. It's vast then, and solidly built, making it no surprise the Superb is a huge hit with cab drivers all over Europe. Introduced in 2001 and running through to 2008 (when it was replaced by an even bigger model) the Skoda Superb has carved itself a sizeable following among those who live by the mantra 'more is more'. Priced new to sell against mainstream family cars like Toyota's Avensis, the Ford Mondeo and Opel Vectra, this Skoda offers masses more interior and boot space than any. It's very solidly built too, wearing well even when it has covered galactic distances. Being in the Volkswagen Group it uses engines from across Volkswagen, Audi and SEAT, though being positioned at the cheaper end of the spectrum the Superb was always denied the very latest (and hence expensive) engine choices. Not that the big Skoda was light on engine options, with everything from the ubiquitous 1.9-litre TDI unit through to a 2.8-litre V6 petrol offered, but sensible buyers unsurprisingly concentrated on the entry-level diesel for its fine economy. To drive it's fairly ordinary, but that's no complaint really, the Superb offering no surprises behind the wheel. The 2.0-litre petrol engine is a bit unrefined, making the 1.8-litre turbo a better choice (and more economical) if you must have petrol - though you'll struggle to find anything but diesels in the classifieds. Fit and finish inside is exemplary, and equipment levels are respectable across the Classic, Comfort, Elegance and Exclusive trim lines. All come with air conditioning, anti-lock brakes and plenty of airbags. Skoda gave the Superb a mild facelift in 2006 with a re-styled grille and lights as well as revised engines. Scour the classifieds and it's pretty much a choice of one, that being the 1.9 TDI. That's hardly surprising, the venerable turbodiesel engine doing good service in the Superb, with respectable - if not startling - performance backed up by good economy. In its life it was offered in a number of outputs including 105-, 115- and 130hp. Obviously the 130hp version is quickest, but there's more choice among the lower outputs. Trim level is down to your budget, and acceptance of odometer reading, as many Superbs having covered vast distances. That's telling, these cars bought by people who use them a lot, and appreciate their comfort and space when doing so. That makes the Superb a desirable used choice, especially if you've a growing family who need lots of legroom.